Range of hammond soft sided hand-held enclosures in various colours and sizes. 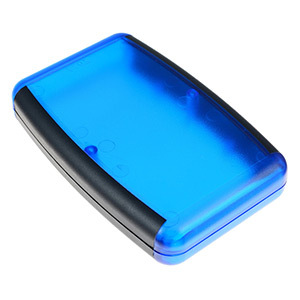 The enclosures are molded from ABS plastic and designed for maximum ergonomic comfort with a soft plastic grip. • Molded from general purpose ABS plastic with a soft plastic grip. • Includes removable front panel and assembly hardware (except for smaller 1553A units).